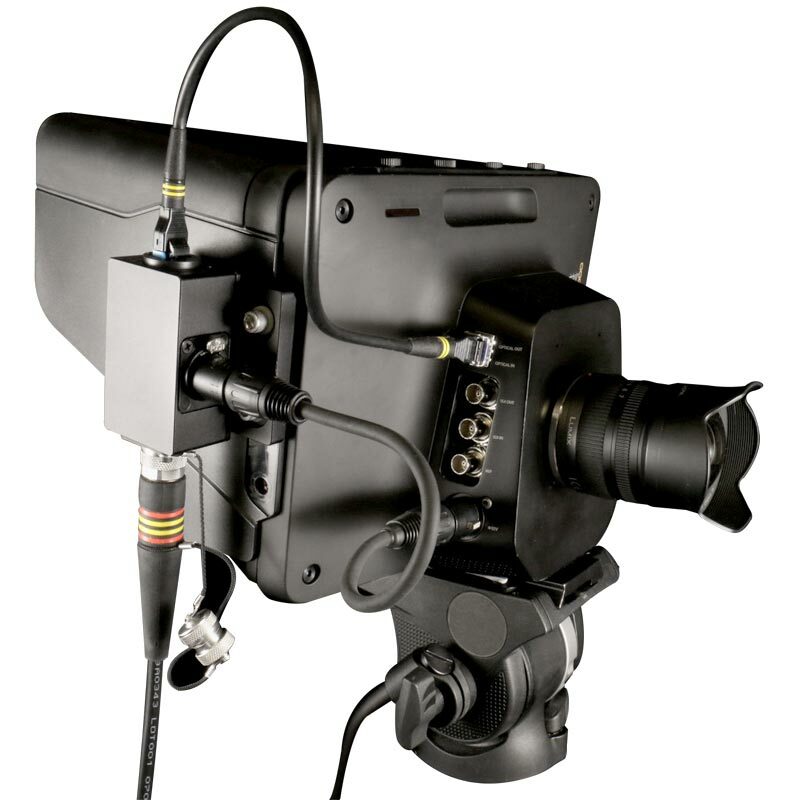 Adapter Two Hybrid bridges the gap between FieldCast fibre optic cable and Blackmagic Design Studio Camera™. It directly mounts to the side of the camera body, connects to the camera SFP with a flexible LC Duplex bridging cable, and powers the camera. With Adapter Two you can transport your HD or 4K video back and forth and control all functions of your Studio Camera™ using only one slim and flexible FieldCast 2Core cable, whatever the distance! Complete camera control over just one fibre optic cable. Move your Studio Camera freely over the studio floor and make use of all the advantages of ATEM camera control using Adapter Two Hybrid with one slim and flexible cable for every camera. Connect Adapter Two Hybrid to your Studio Camera, and you have the most robust fibre optic connection possible, even more robust than the good old BNC connectors on your copper cable. Also, even with 4K video, you can go any distance you want and use the same Studio Cameras in the field without worries. Adapter Two Hybrid is a fully passive device, bridging fibre to fibre in the most straightforward way possible, thereby fully powering the cameras with no special tricks. Just keep the connections clean and go. Single mode fibre optic technology, creating extremely high bandwidth for error free transport of 4K data and beyond, at any cable length and conveying copper for delivering power to feed the camera. Mounts to the camera body using a special mounting plate and screws tapping into two of the 1/4" inserts at the right side of the camera body. 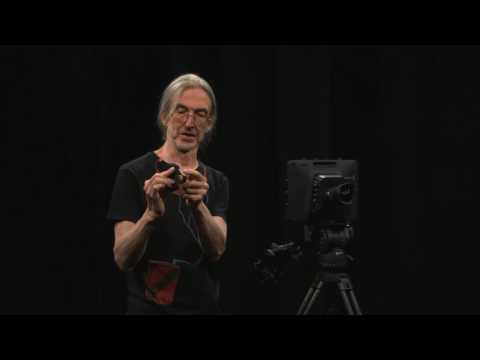 Connects to Blackmagic Studio Camera using a separate flexible LC Duplex bridging cable, and a separate XLR input for power. All aluminium solution, built around a milled outer block containing both connectors, anodized matte black finish, perfectly matching camera body surface. Adjustable belt clip included, for connecting the adapter straight to belt or pocket. Integrated universal 1/4' 20 UNC insert for mounting to tripod, rig or arm.